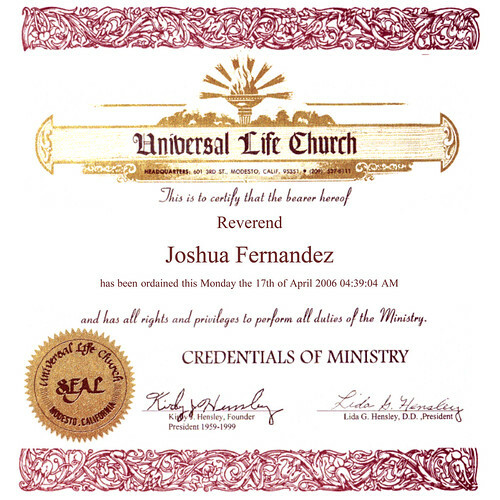 Today i was watching a show on Discovery "Monsters Garage" and discovered that one could be legally ordained as a minister online. I just had to try it out..
need a minister... anybody?, originally uploaded by spuNkymoNky.